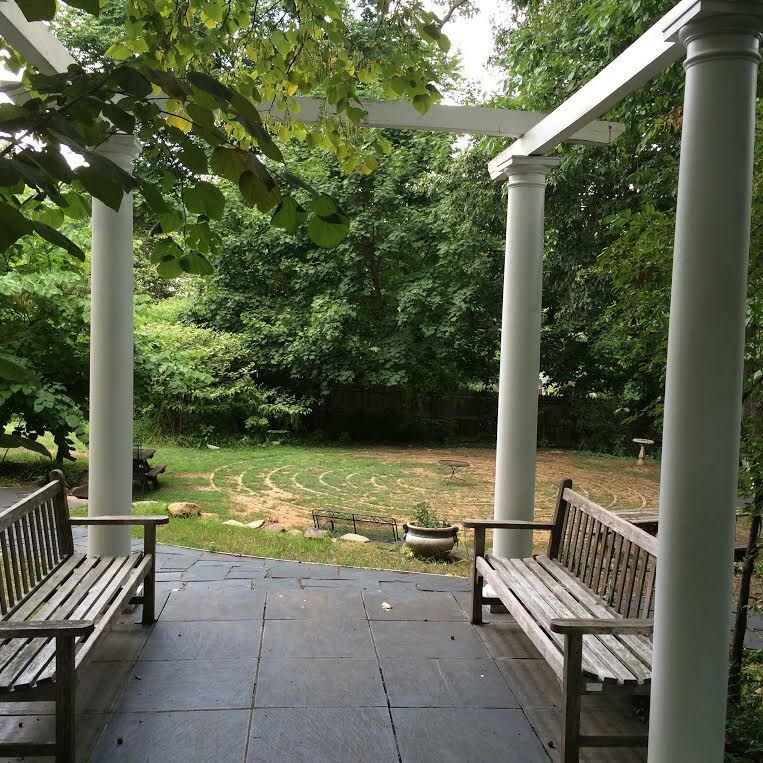 Visitors and locals alike do not want for things to do in Charlottesville. Besides being home to the estates two US Presidents and driving distance to the mansion of a third, it boasts a myriad a wineries, breweries, and cideries, and is home to several museums and sites on the National Register. The gastronomic delights are everywhere - from crepes to barbeque to Himalayan fusion and everything in between. All of this, plus the Downtown Mall, City Market, theaters, music halls, and nearby hiking/biking trails, can keep visitors happily on the go morning to night for days on end. For those in need of some downtime in the busy whirlwind of days, an overlooked treasure in town is its labyrinths. For many, the image that springs to mind is of a maze that you get lost in and have to find your way out; in reality, labyrinths generally have a single, non-branching path that takes you to the center and back. Often used by churches as a spiritual practice, it is designed as a place of centering and peace, with the most famous of these being on the floor of the Chartres Cathedral in France. The singular focus on the path can be a prayer or meditation tool, or simply a means to step away from a problem and refocus. 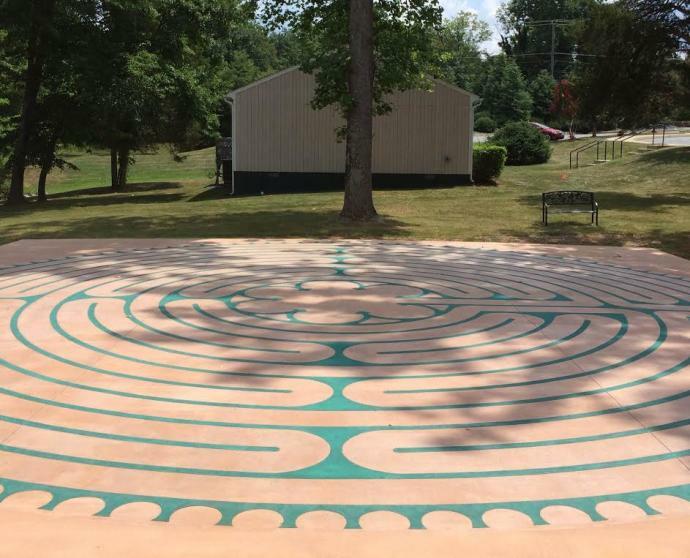 I first became acquainted with the idea of walking the labyrinth a few years ago while living in Pennsylvania. During a particularly stressful time, I had read an article about the practice and thought it might be something interesting to try. I immediately assumed there couldn&apos;t be any near me, as I&apos;d never heard of them in the 10 years I&apos;d lived in the area but an online labyrinth locator (labyrinthlocator.com) told me otherwise. The same was true when I searched for those local to Charlottesville. Two that were readily open to the public immediately popped up within a close radius, with several other private labyrinths (requiring permission to enter) also listed. The first resides at Unity of Charlottesville, on Hydraulic Circle. Built in 2013 by Robert Ferre, the Shalom Labyrinth is a full-scale Chartres version of crushed granite on concrete. 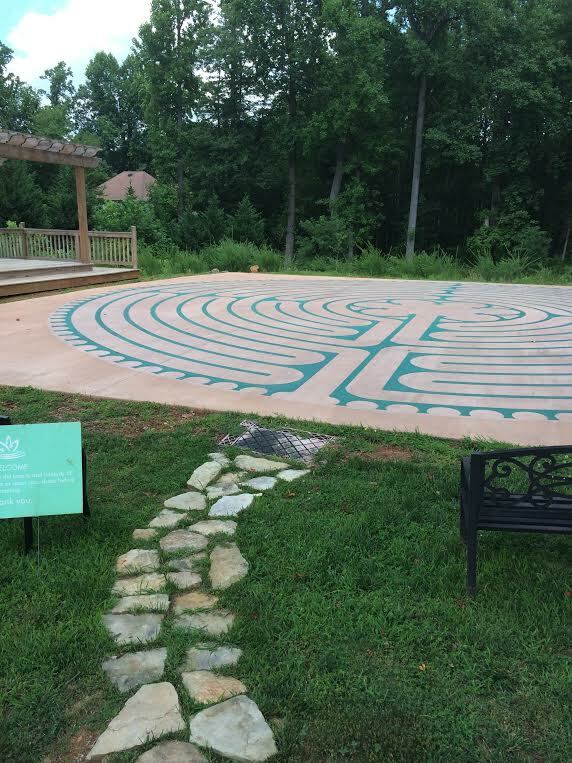 Entering the property, the labyrinth is easy to spot. It is clean and well-maintained and although it is just off a busy road. 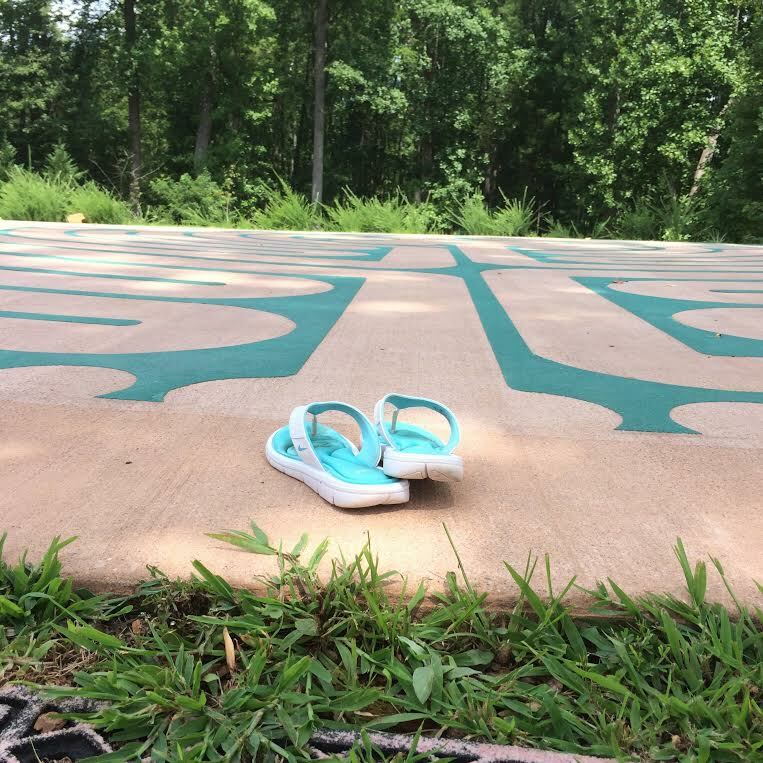 Upon following the instructions and removing my shoes to begin my walk, I was quickly lost in the process - one foot in front of the other, focusing only on the guiding lines to bring you to the center of the labyrinth and back. I could feel my stress and worries of the last few weeks beginning to dissipate as I thought of nothing else. Next, I drove over to Thomas Jefferson Memorial Church Unitarian Universalist Church, just at the edge of UVa Grounds on Rugby Avenue. I asked a gentleman outside if he knew where I could find the labyrinth and he showed me the way through a lovely garden path. 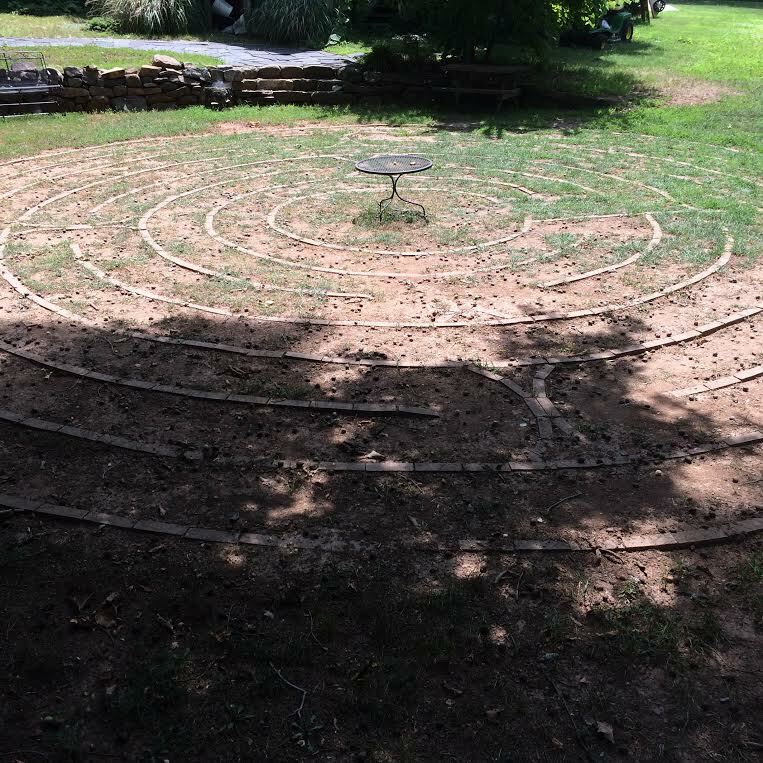 The labyrinth itself was in a quiet area, partially shaded and partially in full sun. As I walked the dirt circuit, with grass popping up and acorns dotting the path, I was reminded of the Ernest Hemingway quote, "It is good to have an end to journey toward; but it is the journey that matters in the end."